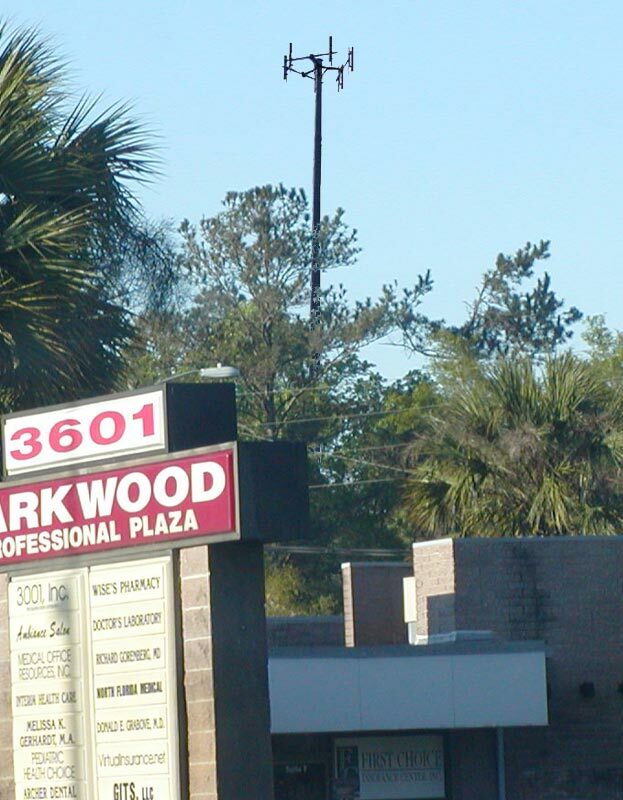 Photos below were taken in front of the Parkwood Professional Plaza. 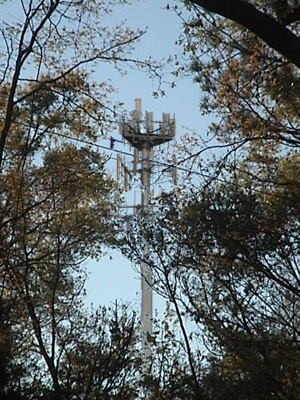 Left photos show the proposed tower as it would be with one provider. 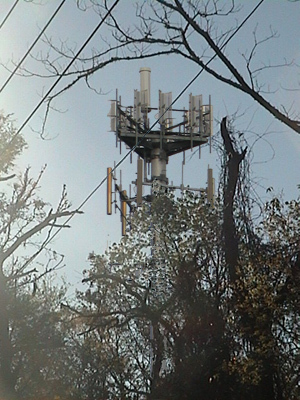 Photos to the right show the tower with three providers. Photos on the left are also clickable to bring up full sized images for close inspection. 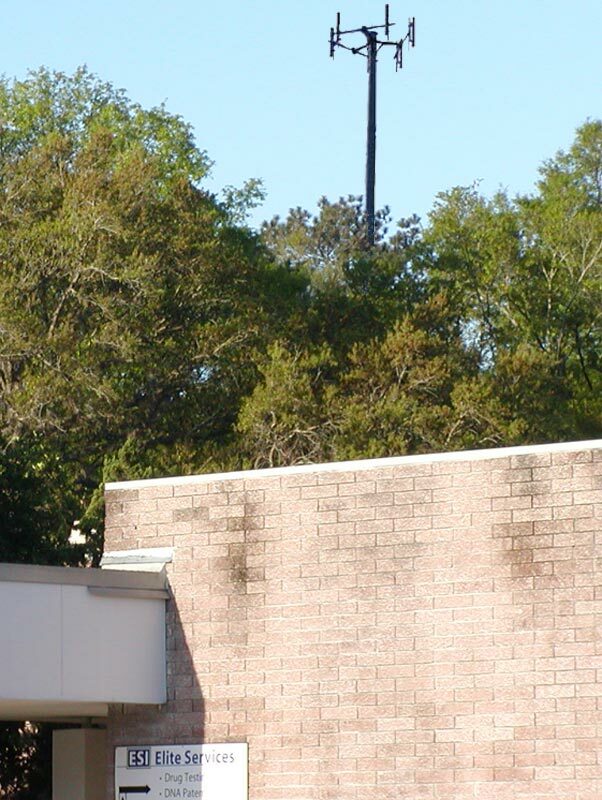 The City of Gainesville is currently rewriting its tower ordinace. 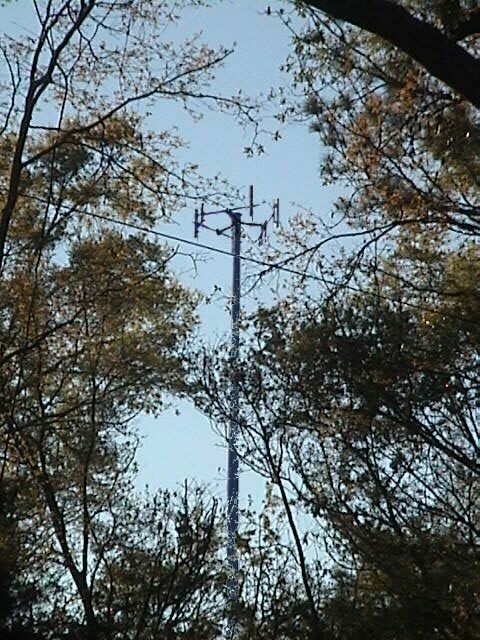 The proposed monopole would not be compliant with the new ordinace for several reasons, including required setback from a residential area. Download the draft ordinace in PDF format by clicking here. Left photo taken from Mid-block of SW 3rd Place. 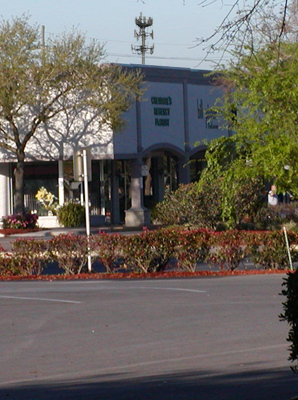 The photo below was taken from the Westgate Shopping center parking lot in front of Omni Books. 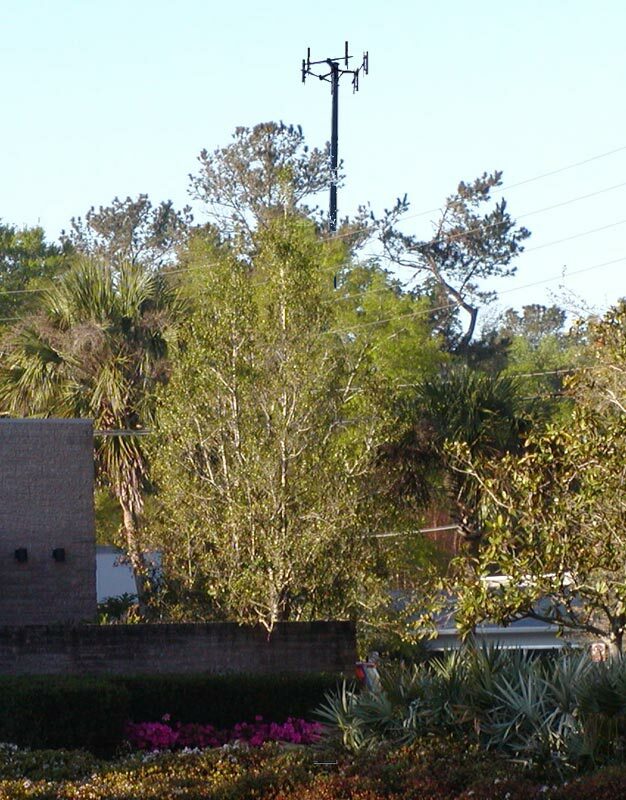 Photos directly above were taken from parking lot of 1st Choice Insurance. 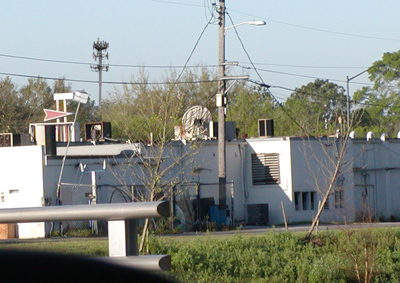 Above photo taken from the parking lot of Mildred's showing the tower with one antenna array and then three providers' antennas. 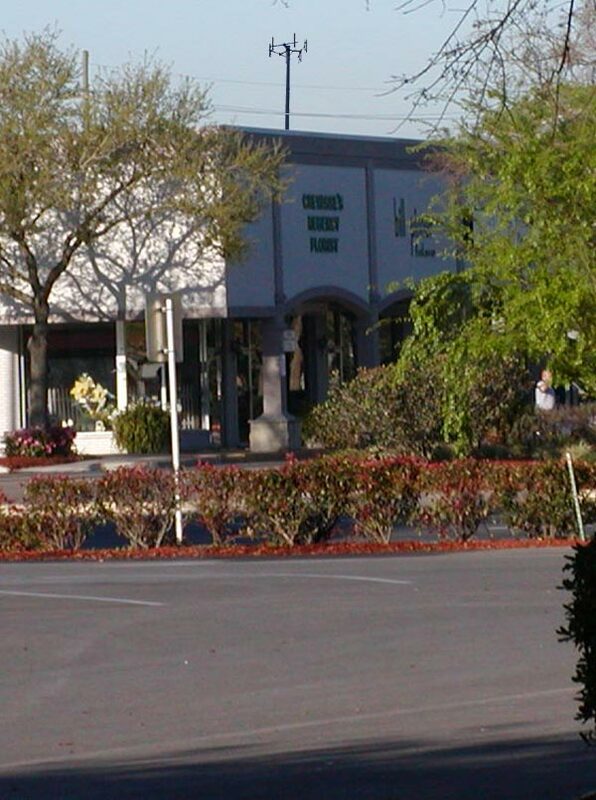 Photo below was taken from 3706 SW 3rd Place. 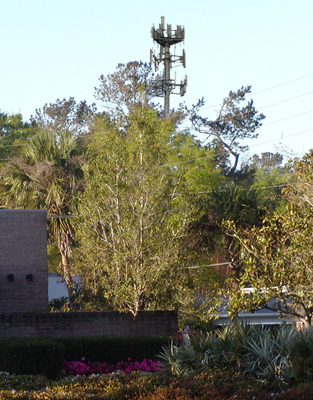 The photo below was taken from 34th Street, driving south and crossing over Hogtown Creek. 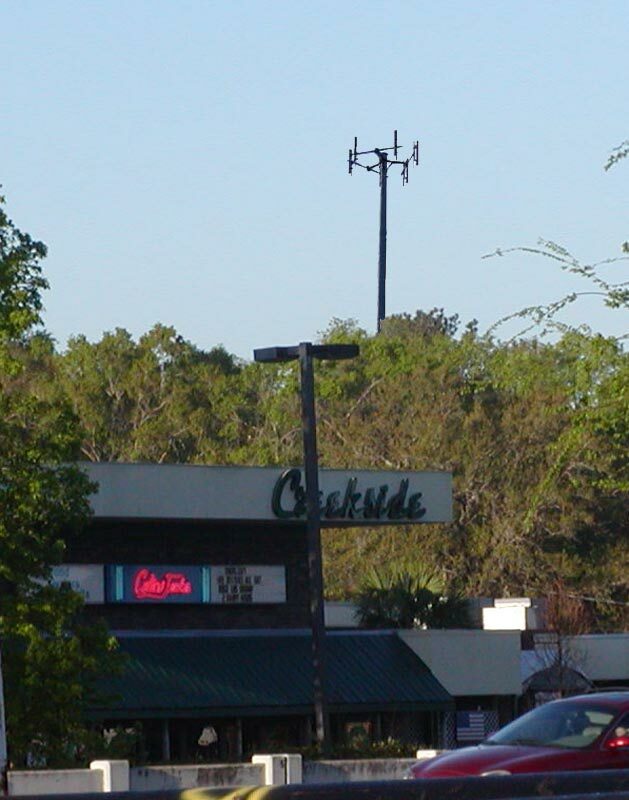 The building in the foreground is the back side of George's Hardware. 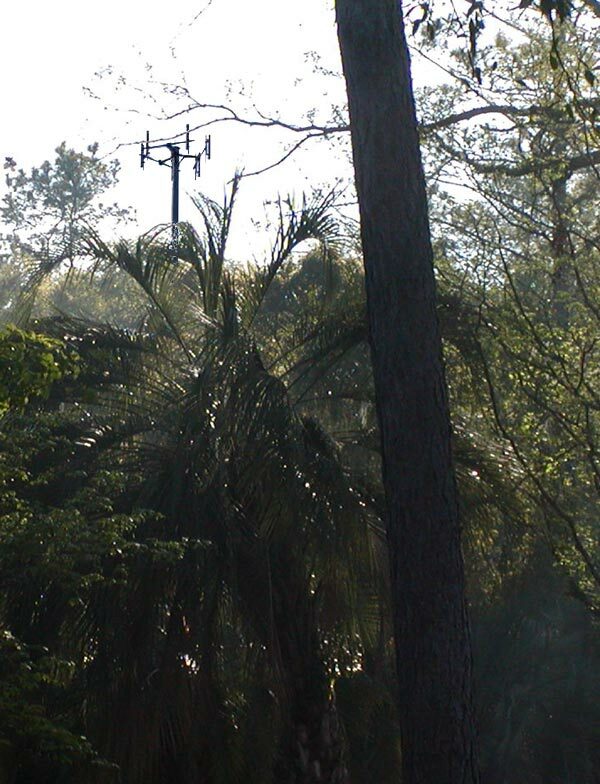 The photos on this page were taken during a recent balloon test by Earthcom Services / Sprint. 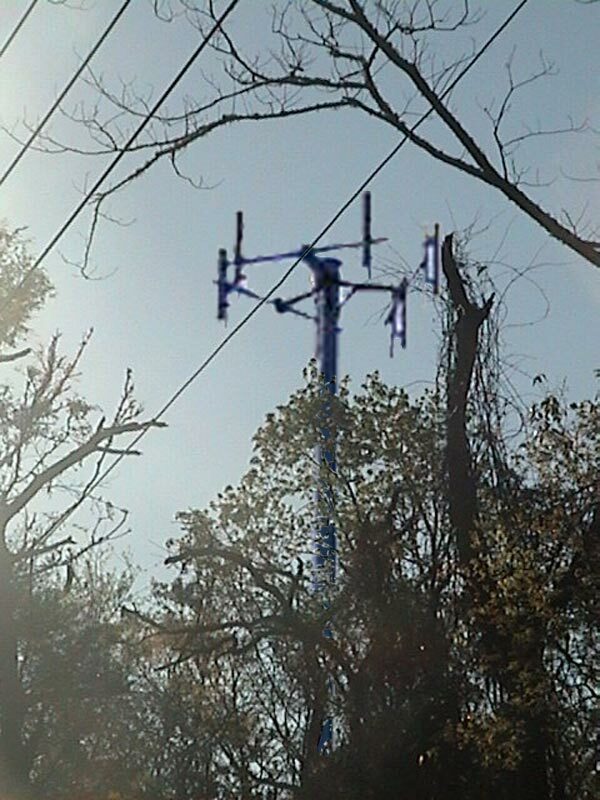 The monopole is planned to be installed in the woods adjacent to the east end of the Anglewood area. The balloon was replaced by an actual photograph of a similar tower that was superimposed over the balloon. The tower has been scaled for distance and placed behind objects such as trees that would have been foreground objects. The original balloon photos and a description of the methodology used to create these simulations can be found by following the link at the bottom of this page. An example of how the simulations were made can be viewed online here. 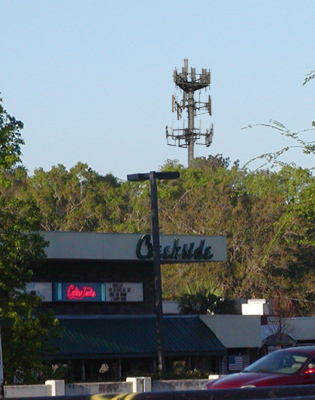 Sprint & Earthcom Services have proposed to build a new 130 foot tall cellular tower at the eastern end of our neighborhood. As the pictures below and the sidebar explain, the tower will be fairly visible from Both Newberry Road and SW 2nd Ave. The Earthcom petition number is: 144SUP-04 PB. 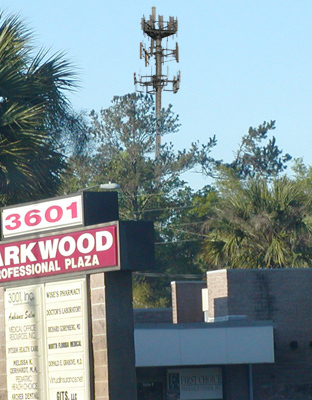 Recently, we aquired, from Sprint's website, a map of all existing Sprint towers in the Gainesville area. This map has been reproduced and the proposed monopole location has been noted. This map is very interesting and critical to the Plan Board's deliberations. Please see the maps by clicking here.